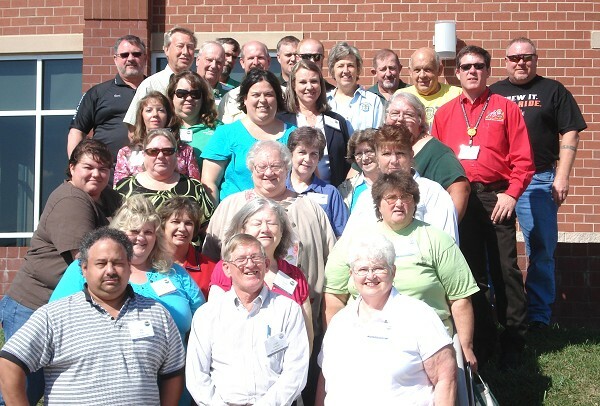 We are pleased to submit this report on the Grange Growth Summit which was held in Wytheville, VA, September 11 - 13. This is a beautiful part of the country and we enjoyed perfect weather and great accommodations. The Summit was well attended by 35 Grange members, representing 9 states, including State Masters of DE, PA, NJ, TN, VA and WVA. Also Ed Lutrell, National Master, Membership Director Rusty Hunt, National Lecturer Judy Sherrod and 2 State Membership Chairmen. The Summit opened Friday evening with a workshop titled, "Choose Your Altitude." This was based on the "FISH" philosophy which all of us in CT are familiar with. We will note that attitude is crucial because leaders set the direction and members adopt the leaders' attitude. Also every member needs to feel important and have the right to be productive. Saturday's activities began at 8 AM. We were divided into 3 teams of 11 members each. One team was to stay at the Wytheville Meeting Center for an experiment in building a new Grange from scratch, while the other two teams would visit existing Granges to implement a revitalization program. By good luck we were assigned to revitalization teams and were placed on opposite teams. We each had very different experiences. We received scouting reports on the VA Granges to be visited. Both had low active membership, although they usually did have a quorum at meetings. They were not currently doing any major community service work, hadn't taken in a new member in a long time, met once a month and their Lecturers' programs were poor or lacking. Each of these Granges were located deep in the Blue Ridge Mountains. Remotely deep! Team leaders were chosen by Rusty, Ed and the State Masters These Leaders would act as facilitator at the revitalization meeting. Among the other team duties, Debbie was elected her team recorder and Jeff was "entertainment" for his. We met our respective Granges around noon time and after about a 15 minute social time we were treated to a pot-luck dinner. These meetings had been planned long in advance and invitations and flyers had gone out in the communities about a special meeting at the Grange halls. Jeff's team was met by 6 Grange members and 9 guests and Debbie's by 10 Grange members and 4 guests. The facilitator for Jeff's team quickly made good use of the large number of visitors by giving a history of the Grange and the reasons for it's original secrecy. Members and non-members eagerly gave responses to questions about community involvement and projects the Grange could sponsor. Much discussion followed and more social events and a lack of local medical care were noted as community needs. A Community Day, already scheduled with the local fire department, could be used as a membership drive. By the time we were wrapping up 3 membership applications were filled with a promise of 3 more soon. The VA State Grange will make follow-up visits and maybe concentrate on helping with good ritual work. Debbie's team adopted a stricter format for the meeting. 1) Why the team is here. 2) What are the needs of your Grange? 3) What are the issues of your community? 5) Prioritize the top 3 ideas. 6) What is the next step? Discussion was low and hard to draw out until one of the guests offered to type a newsletter for the grange if supplied with materials. It would be part of the solution for community outreach. This seemed to energize the room. It was also discussed that the Lecturers' programs were lacking or nonexistent. The National Lecturer, Judy Sherrod, offered to help out by sending Lecturers' materials to a designated Grange member. This Grange has been a leader in community issues in the past, notably successfully resisting the construction of a new prison in their town. They had won the National Community Service Award many years ago. We left feeling sure that 3 membership applications were forthcoming. The team given the task of organizing a new Grange in Wytheville did not fare as well. Four thousand mailings promoting the organizational meeting had been mailed to 7 rural route districts prior to the weekend. It is very sad to report that only 1 person showed up. Eleven eager recruiters were left with no activity. Debriefing and much discussion followed back at the Meeting Center. We hope to learn how things are going with our new VA friends as time goes by. Explanation and use of the New Grange Builder Kit and suggested process for starting a Community Grange ended the day at 9 PM. 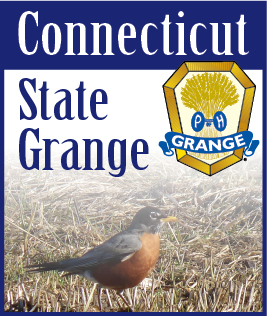 We were very interested in a new membership application that National Grange will design on tri-fold paper for your Grange. You supply the picture and information you want. Might also note here that National Grange is currently fighting 400 companies who are using the Grange name. This name protection effort is going to cost hundreds of thousands of dollars and goes on and on. Sunday morning wrap-up included a demonstration of recording a Team Speak program, the computer-generated broadcast from National Grange. Also instructions for finding information from National on-line and a National Grange Communications Tool kit for using: Facebook, YouTube, Podcasting, Twitter and Blogging. • An extremely dedicated team. • A Grange that is sincere in asking for help & will stay focused. • An understanding Subordinate Lecturer who will adopt programs promoting his/her Grange. • A good showing from the community at the initial revitalization meeting.